Teeth are often restored using fillings. 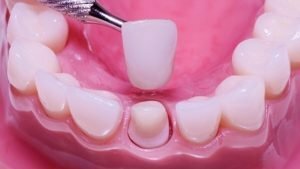 Under some circumstances when too much of the tooth’s structure is removed, a crown may be needed. The crown is a tooth shaped “cap” that is placed over the tooth in order to do the following.